If you are in downtown Little Rock for the weekend this fall and are looking for something to do, the Little Rock Convention Center and Visitor's Bureau is offering a free tour of the downtown area this fall. The tours are 10 a.m. and 4 p.m. on Saturdays from October 15 to November 19. All they ask is that you wear comfortable shoes, and they hope you visit some of the great downtown shops and restaurants after you finish. The tour will also tell you how to get around the River Market easily to visit all the sites, like the Clinton Presidential Library, Heifer International, and Argenta in North Little Rock. This tour combines walking and the downtown streetcar system sometimes called the trolley and hits most of the highlights of downtown Little Rock. The walking tour begins at La Petite Roche Plaza and takes tour-goers on a short walk through Riverfront Park to the Junction Bridge. It ends at the President Clinton Avenue trolley stop. From there, participants can get on the streetcar and spend the rest of the day exploring Little Rock by streetcar. Tour participants receive a free streetcar day pass so they can enjoy downtown for the whole day, and trolley drivers also point out some of the highlights and stops. The streetcar crosses the river into North Little Rock's downtown area. The tour is focused on attractions like restaurants, shops, hotels and things to do. It's a great way for visitors to get acquainted with downtown Little Rock. It's also a great way for locals who haven't been downtown for a while to get their bearings. 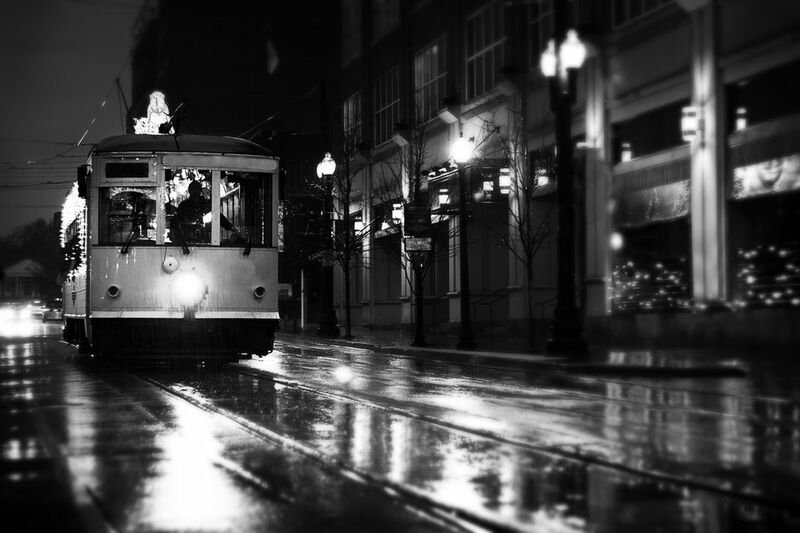 The streetcar system is a low-stress way to travel around the city and check things out. The streetcar makes stops at the Marriott, the Main Library, the Clinton Presidential Center, Heifer International's headquarters, the River Market and Creative Corridor and goes all the way to North Little Rock's Argenta District and Verizon Arena. The tour lasts 90 minutes, but the streetcar pass is good for the entire day. The tours meet at 400 President Clinton Ave and reservations are not required. You don't have to be on the official tour to take the Metro Streetcar System. Day passes are $2 (you can get $1 ride passes too). Many of the downtown hotels sell passes. You can also get passes at the Rock Region Metro offices on 901 Maple, River Cities Travel on 310 E. Capitol Avenue and the Little Rock Convention and Visitor's Bureau on Spring Street. Passes are available on the streetcars as well. The streetcar system has two separate lines. The green line loops the River Market and Clinton Library/Heifer International. The Blue line makes this same loops but also goes to North Little Rock. Service to the Clinton Library and Heifer International end at 5:45 p.m. daily, but the rest of the trolley line is open on Sundays from 10:40 a.m. to 5:45 p.m., Monday through Wednesday from 8:20 a.m. to 10:00 p.m. and Thursday through Saturday from 8:20 a.m. to 12 a.m. You can download a Metro Streetcar brochure. You can take a self-guided walking tour of Little Rock that hits most of the downtown hot spots. Some of the attractions on that list, like the Capitol Building, are a pretty far walk. Riverfront Park is a safe and easy walk, and you can see La Petite Roche Plaza from there. It's also right behind the River Market main hub, and some restaurants and small shops. Little Rock continues to garner national and international acclaim for its many attributes. The world’s largest hotel search site, Trivago.com, named Little Rock #8 in its “Top 10 2016 Top US Best Value Cities.” In 2015, Little Rock was named #6 of Huffington Post’s “Top 10 Most Affordable Places to Live in the U.S.” In 2014, Forbes Travel Guide listed Little Rock as one of its “Top Five Secret Foodie Cities in the U.S.